After finishing this book, my only regret was that there is not yet more available from Shaw. Shaw's writing style is very similar to Steven Brust, especially Brust's -- 'Vlad Taltos' books. This book is a fun, humourous, fast-paced book that will draw you in and keep you racing for the end, and then leave you wanting more. This story focuses around the adventures of three youngsters; our man with a plan is Bennett Short, and his two sidekicks are Darcy Decker and the Pickle, aka Stanley Valentine. Bennett is a big fan of the Man in Red, and we do not mean the one with horns and pitchfork. Santa is his hero and he has a plan to sneak aboard Santa's sleigh. He wants to get to the North Pole and find out all the Santa Mysteries and write a tell-all book and make a gazillion dollars. But as most of us know, things do not always go according to plan. Bennett and his friends do get to the North Pole and they get to hang out with Santa. However Darcy's curiosity leads to devastating results. In this awesome little book you will find our Al Gore as a robot created by Santa, and see Santa abducted by aliens who hate Christmas and all that is fun. You will watch Darcy go from being arrogant and expecting Pickles to mess things up, to realizing that he does so again and again. Yet with all of that, Darcy never gives up and keeps striving to correct his mistakes and make up for the damage he has done. This is in part a coming of age story, part adventure and a whole lot of fun. We watch Darcy grow and mature, and we in turn can learn from him and face the struggles and difficulties in our lives anew. The greatest power of story is that story at its best is myth, but not myth in something that is not real, but myth in the sense of the ultimate underlying reality of existence. Shaw captures the essence of that second type of myth in this and his other book Sherman Oak and the Magic Potato. In that sense, even though he has only published 2 books, he is in my opinion a great writer. This is a book that was so fun to read I have already started it a second time, this time reading it more slowly to savor the story rather than racing through as I did the first time I read it. This book would be a great end-of-term summer read, and now you can get the ebook version of it for free. 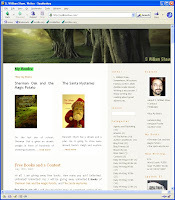 The author, on his website swilliamshaw.com, is offering the ebook versions of either of his books free. So stop by and drop him an email and you can get 2 great books to read for free, or if you prefer you can order them through Amazon and get hard copies and support his writing of more adventures for you and me to enjoy. p.s. It would be great to see illustrated versions of his books at some point in the future. The Carnival is up at 'Living Catholicism' this week is 'Prayer . . . and Spring Break' Check it out! S. William Shaw is running a promotion at his blog that I think you should take him up on. He is currently offering free ebook version of both of his books The Santa Mysteries and Sherman Oak and the Magic Potato. I have read both and can highly recommend each of them. I reviewed Sherman Oak a while back. And am publishing a review of The Santa's Mysteries next week in the Imprint. So stop by his blog and request the ebook's, they will be great for reading from a palm or pdq while traveling this summer as a family. The books will leave you waiting for more of his books to become available! It is my turn to host the carnival again, it is both an honour and a privilege to be able to host it. A lot of writing in the blogsphere lately has been around the Summorum Pontificum & Motu Proprio, that proliferation is evident is this weeks carnival. To all who have contributed, Thanks! To those who yet have, please join in the fun. To begin Matthew S at Play the Dad? Be the Dad! gives us "Something to chew on....."
Next at 50 Days After we have an artilce called "A Soldier's Best Weapon" about the Rosary as a spiritual weapon. Then on over to have a look at a link to 'a recent talk given in Rome looks at the limits of historial method of studying Jesus' over at Kicking Over My Traces. CatholicLand! reminds us that "Time flies" SWP offers his two cents on the Motu Proprio and what it means for intra-faith dialogue. Then we journey with Eric as he shares a number of posts about the Summorum Pontificum. With him we hop once, twice and three times. Slowing down to look at the roses. Kevin at HMS Blog talks to us about "God's Law In Our Hearts" a reflection on the Mass readings for Sunday 7/15, focusing on God’s law as in harmony with, but also requiring conversion of, our hearts. After slowing down to reflect with Kevin, Sarah reminds us How My Garden Does Grow! The garden outside is blooming with flowers and busy with bees, and the garden inside includes an active toddler and the joys of my life. From her blog in just another day of Catholic pondering. RobK writing from Kyrie Eleison in his first submission to the Carnival picks a post about Pope Benedict comparing him to a Modern day Ezra & Nehemiah. He states "the article is about how the recent releases from the Vatican, the moto proprio and the document from the doctrine of the faith, along with some of the negative reaction from outsiders casts the Pope as a modern Nehemiah and Ezra". Next still on the green isle we have Jim Martorana at Friends of Fighting Irish Thomas with a post called "Gifts from the Bridegroom". From the Blog 'You a prayerful conversation" we have an excellent reflection on Bad Theology. Are you an object or a person? Is God an object or a person? Does God see you as an object or a person? Do you use objects or persons? Do you use people? Does God use people? Depending on your answer, it can lead one into bad theology as described in a quote by Paul Tillich from his book -The Courage to Be-, a theology that is all to common and rejected by most atheists. Their short reflection follows. Jumping back across the Atlantic we have Christine Schult at The World...IMHO writing about the U.S. bishop defends bishops' right to rebuke pro-abortion politicians. Then swinging south to Hollywood we encounter The B-Movie Catechism. This week The B-Movie Catechism takes a look at Ron Ormond's 1953 stink fest Mesa Of Lost Women and asks the question, "Can filming something this awful be considered an act of evil?" Heidi at Streams of Mercy shares with us about the Courage to Be Catholic and shares about lunch with Elisabeth Elliot (Thomas Howard's sister) and review of his latest book, "The Night Is Far Spent. At Catholic Fire Jean shares about how It Sure is Hard Finding Help Killing Babies Nowadays! In writing about late - term abortionist George Tiller has his hands full these days - not only is he facing criminal charges for performing illegal late-term abortions, but he just can't seem to hire and retain help at his Wichita office anymore. Here's an easy way we can all let him know our concerns about his actions. In a great post called "My Domestic Church: 5 tips on how not to to witness to Catholic Christians" Elena from My Domestic Church shares about how after spending considerable time debating and discussing with our Protestant sisters in the blogosphere, I thought I would submit an article with tips on how they could better "witness" to us Catholics! Returning to Rome and the Moto Jay at Living Catholicism writes about "The Return of the Latin Mass" He states 'Just my thoughts on the “return” of the Latin Mass.' But as we all know with Jay it is never a "just" and always worth a read! Sticking to Rome & Jay then writes to us from Deo Omnis Gloria "Did Pope Benedict XVI really reassert that other Christian denominations are not true churches?" In that he analyzes what the newest Church document Responses to Some Questions Regarding Certain Aspects of the Doctrine on the Church really says about protestant denominations. Last but not least Joseph from Ho Kai Paulos ask some hard questions in "Paying the Price" An article that talks about the price to be paid for getting to live a Christian life and seeing it as a privilege. Then my own submission, I know I have been pushing FR. Jacques Philippe books lately. When I find an author I like I tend to read everything they have written. Only 4 of Fr. Philippe's books have been translated into English. Part of me dopes not want to read the fourth so I still have something left to read, and part is itching to read it. Last week I published a review of his third book I have read this year Interior Freedom in my University Newspaper. His prose are easy to read yet deep and rich in meaning and application. His books are some of my most treasured and those I try and lend out most often currently. (In fact I have not read the fourth because it is lent out. Thanks for sticking with the journey through the blogsphere in this weeks Catholic Carnival. Maybe we will be stopping by your place for a post or to see you host soon! 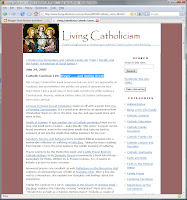 Mea Culpa to Donna Marie for not promoting last weeks Catholic Carnival 127 the "Summer Mothering" theme for not promoting it earlier. It's been a rough few weeks. This is the second book in the fourth realm trilogy. I stated of the first book, The Traveler, that it was "the best fiction book I had read in a decade!" This book is a very close second. John Twelve Hawks weaves an unforgettable tale of suspense and drama that will draw you in and captivate you in a way that few other authors achieve. Hawks helps us to look at our world in a whole new light, and gives an entirely new meaning to the term 'Big Brother is Watching'. This book continues a year after The Traveler finished, and once the action starts, it does not end. The action races at breakneck speed and reads like 'a post 9/11 conspiracy theory meets 1984'. Hawks shows a world where people are collectively selling their freedoms for a perceived peace or security. With a story as unique as the Matrix, and the captivating writing unlike anybody else, Hawks serves up a masterpiece. There are four main categories of people in these books: Civilians, who go about their daily lives, Travelers who can send their life force from their body to alternate realms, The Harlequins who are trained warriors dedicated to protecting the Travelers, and finally The Brethren, as they call themselves, who wish to create a system of control over the whole world, a virtual Panopticon. This group is called, 'The Tabula', by their enemies. The Tabula are trying to achieve their Panopticon through computer surveillance - RFID chips in what we buy and in our ID and credit cards. Their only goal is to make the human race homogeneous and dominated by the belief that they must behave a certain way because they are always being watched. For the first time in history, a Traveler, Michael Corrigan, is working with the Brethren and trying to conquer the only other surviving travelers -his brother Gabriel, and his father Matthew, who has been missing for 15 years since the Tabula attacked the family home. Both of the brothers are searching for their long-lost father, both are trying to figure out how to use their ability as travelers, and both believe they are on the right side. Only by reading will you find out what will happen in this battle of wills and battle between light and darkness. This is a book masterfully written that will draw in readers from all walks of life and of all ages. Read it and see if you cannot hardly wait for your friends to read it, so that you can discuss it and debate it. It will also have you looking very differently at all the cameras that capture our images hundreds of times a day. Hawks has written another bestseller that will surprise you, stun you and amaze you, both with the story and the way it is told. The day began with a 5:30am wakeup call. Yet it had been hard to get to sleep knowing what was happening today. It didn't really feel like a lot of sleep with the combination of the bone pain, the unfamiliar bed … we got ready and headed to the hospital. The day started off rather slowly; we reported to the Apheresis Unit in the Blood Diseases ward. The registered nurse (RN) who would oversee the day's activities, had to verify that some of my answers to the health questionnaires, from earlier in the procedures, had not changed. After that, a line was inserted into a vein in my left arm. Blood samples were collected and the RN then walked the samples down to the lab in the hospital. (She stated that she gets quicker results if she transports them and waits for the results.) Grant and I were free to await her or to go grab something to eat. Since we had already had breakfast on the way, we set up Battle Star Galactica (BSG) on the DVD player in the room. After the RN returned, she programmed the centrifuge machine, based upon the results of the samples, to the specific characteristics of my blood that day. Once the machine was configured and prepared, we began the preparation on me. I was informed that our blood usually has about 3% of stem cells, after taking the injections of granulocyte colony stimulating factor (G-CSF). My blood was running around 20% based on the tested sample. Now a second, much larger needle, was inserted into a second vein in the left arm. This needle, unlike the flexible ones used for IV drips or for the return line, is a steel needle. From this point on I was not allowed to bend my arm until we had finished for the day and all the lines were removed. If I had bent this arm the needle would have sliced through the vein and we would have had to set up on a different vein somewhere else in my body. This line was used to draw the blood out of the body. It was mixed with Anticoagulant Citrate Dextros Solution (ACD) to prevent it from clotting and clogging up the centrifuge machine. Then it was run through the centrifuge. This machine spins the blood and separates it into the different components based on size. Every so often the machine would slip some of the cells it wanted out of the lines and collect it in a separate compartment. It was now time to sit back and wait. The goal was to let the machine run until 4 pm. Then Grant and I would be free to return to the hotel for the night, and if we did not get a call, we had to be back the next day at 7 am again. So we watched the mini-series that launched BSG, and the first disk of episodes from season one. It was hard to concentrate and focus on the movies; all I could really think about was the recipient, and wondering how that person was doing, where was he or she, and had the treatments gone well? What was he or she doing this day in preparation of receiving the PBSC's? Grant's role at the hospital was varied; he was part gopher, part emotional support and part assistant. Grant went across the street to Tim Horton's and grabbed my extra large double double, a large iced capp for the RN, and a small coffee for himself. At lunchtime Grant, again in his role as gopher, ended up going to a Williams Coffee Pub and grabbed lunch for him and me. The ACD actually strips calcium from your blood to help prevent it from clotting. By early afternoon, I was starting to feel the side effects of this - a little tingling in my lips and fingers and toes. First we tried to treat this with some calcium from TUMS and Usana's Optimizer Active Calcium Chewable. This helped hold it off for a few hours, but finally I asked for the drip. A 3rd needle was now inserted into the back of my right hand to run a Calcium Gluconate drip. We started this around 1:45 pm, and very quickly the tingling in my lips and face subsided. However, from not moving my left arm most of the day, it was now numb and tingling. My legs were also a little tingly from not being able to get up or stretch out at all. I was, by this time, getting very fidgety and constantly changing my leg positions. Grant again went to get supplies. He grabbed juices for both of us and a stress ball for me to use in my left arm. It really helped me get through to the end of the day. Grant and I were informed that it had gone very well today. The RN expected us to be done by 4pm and ready to go by 4:30pm. Thus, we were ahead of schedule. We had filtered about 20L of blood; based upon my size, that is my total blood volume by about three and-a-half times. Out of those 20L only 200ml had been removed as the collected substances. The RN even informed us that she had reduced the rate of extraction for the last hour. It was very overwhelming to see this bag with such a little volume of material in it and know that that was all that was removed during the day. There was the wonder if it was enough or would we be back tomorrow. Would it help the recipient? These and many other questions ran through my mind again and again. It was time to start wrapping things up. The RN began taking the lines out. First the draw line was stopped and back-flushed with saline to clean the line and prevent a blood clot from forming. Then it was removed and the RN applied pressure for at least 5 minutes. Then while maintaining pressure on this spot, she prepared and removed the return line. She was holding both tight till she wrapped the whole arm in gauze. Next she removed the IV drip line from the right hand. I was informed it looks like a good volume and that if we do not hear from the nurse by 9:30pm we are to come back for a second day of extractions. Grant and I returned to the hotel. I immediately took a nap. We went out for supper to a nice Irish pub. Grant and I received voice mail from the RN stating that they had actually harvested twice the requested amount of stem cell count. I could go have a drink and celebrate. I had to stay in town for 24 hours in case there were complications or any reactions, so that if needed I could go back to the hospital and the ward where the bone marrow - peripheral blood stem cells were extracted. I am on hold specifically for this patient for one year from the date of donation. 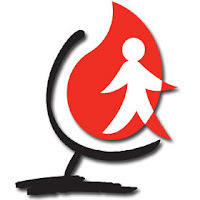 I cannot donate blood during that time, and my profile in the International Blood Donor Registry is pulled and on hold so that I do not match another person. This is in case the recipient is in need of a top-up of stem cells or bone marrow and I can help by donating again. What happens during and/or after that year? Well that depends on the recipient and the overseeing body for the recipient. In Canada, that is Canadian Blood Services (CBS) through the Unrelated Bone Marrow Donor Registry (UBMDR), and after 3 months, I can find out how the patient is responding to treatment. At 6 months we can exchange letters with no personal information. At one year, if both recipient and donor want to, the CBS will make arrangements for them to meet. It amazed me the number of people involved to help make this happen. There are doctors and nurses at both the collection and requesting hospitals, who live and work with this day in and day out. Then there are CBS coordinators at both the National and regional levels, who oversee the procedure for the donors after a match is found. Much care and attention is given to donors by the members of the CBS, to make sure the experience is the best possible for them. Having gone through all of this, would I do it again? Yes, there is no doubt. To be uncomfortable for about a week for the chance to possibly save someone's life - well, there would be no hesitation on my part. I would also encourage anyone in good health and in the age range, to be a bone marrow donor, to check out the information on www.blood.ca and consider joining the registry. Also tell others about the registry and how easy it could be for you to change someone's life. Even if you find out you cannot be a donor, help to inform others about the registry. The more people we can get on the UBMDR, the more lives we can help to transform. Note: In the United States of America the National Marrow Donor Program can be contacted at 612-627-5802 or on the web at www.NMDP.org for those who have asked for the information. 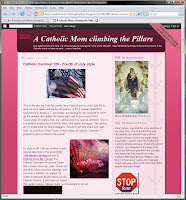 The Carnival is up at 'A Catholic Mom Climbing the Pillars' this week is 'better late than never! Check it out! 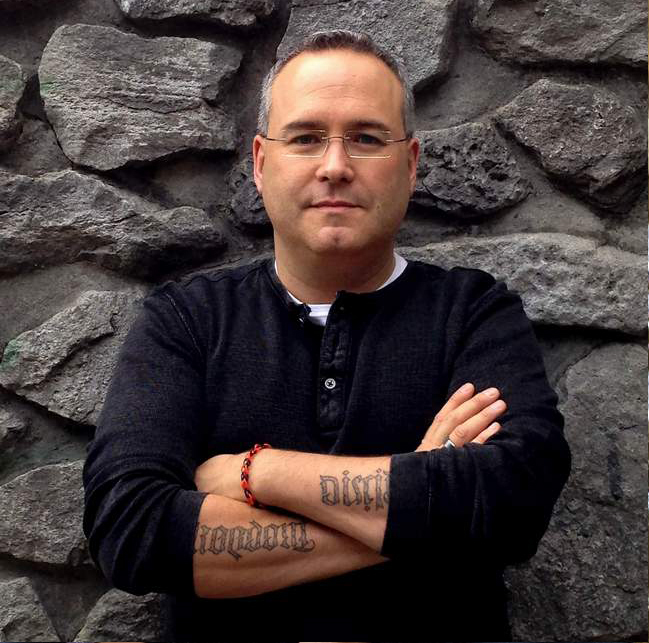 Miller is known for his explicitly Christian fantasy in the books, like those in this series. He is also well known for his non-fiction and his Christian life application books. This is the final book in The Singer Trilogy and it is an inspired book of poetry and story. This book is the fantastical retelling of the book of Revelation from the New Testament in a narrative poem. Miller writes in such a way that you cannot help but wonder if the Spirit helped guide the shaping of these books. Many unique characters such as The World Hater - Satan, Elan Lord or Ellanor, Dreamer and others are encountered in this volume. This story tells an epic tale in a powerful way. Miller is a master wordsmith who weaves a tale that you cannot put down and will not soon be able to forget. The Finale is also excellently illustrated by Chicago artist, Joe DeVelasco. The drawings done in pen and ink style add to the power of the story by transporting you into the events, events both on earth and in the heavenly realms, and bringing the characters alive. Each time I read and reread these books, they are always fresh and new, and draw me into the story of Christ in a different way. They are true Christian classic and a treasure for any bookshelf. This book will draw you into the final epic battle between good and evil. Miller also has a Symphonic trilogy that retells different stories from the book of Genesis. The two I owned were A Requiem for Love and A Symphony in Sand. As far as I can tell, there are also two stand-alone books by Miller in this style, that are often compared to Tolkien's Lord of the Rings and Lewis's Narnia. They are The Valiant Papers, an account of a guardian angel's experiences, and The Philippian Fragment, the retelling of the book of Philippians from the New Testament. I have owned most of these and lent them out to not be returned. I now have The Singer Trilogy, Valiant, and Singer trilogy 3-in-1 hardcover. Over the next few weeks I will review those I still have, but cannot encourage you strongly enough to pick them up if you find them in a used bookstore. They are all great.